At Sonny’s Marine Center in Orlando, Florida, we sell quality new and used pontoon boats, tritoons, and tripletoons. 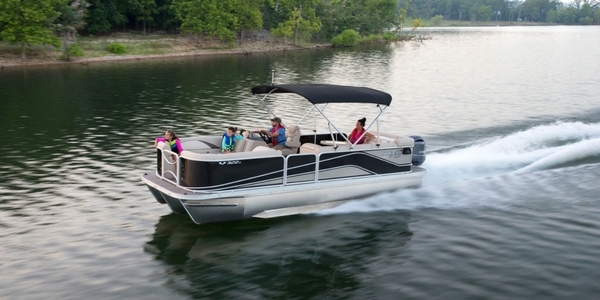 All our new pontoon boats are powered by Yamaha Outboards. SunCatcher by G3 incorporates all of the luxury, craftsmanship, comfort, and performance one would expect from a Yamaha boat company. Boasting four families of product: The V series, X series, Elite series, and new Diamond Elite series, all set the industry standard for what is to be essential on any platform water craft. The biggest quality separating G3 from the pack are our U shaped tubes filled with redundant flotation foam which make the compartmentalized “Titanic like” round shaped pontoons 2nd class. At G3, the core values – Quality, Performance, and Satisfaction – are built into every SunCatcher pontoon boat. Life is better when you are on the water… G3 and Yamaha can take you there. 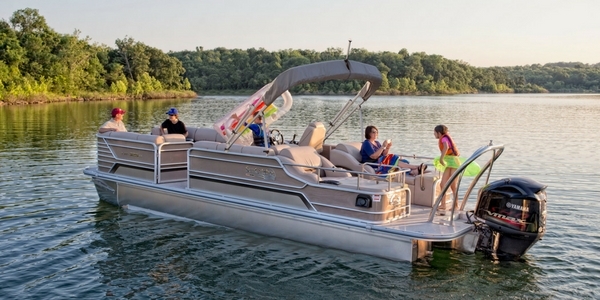 Check out our pre-owned boats page for a list of quality used pontoon boats we have available. If you don’t see the used pontoon you are looking for, please call us at (407) 293-7174 or use the form below to contact us today!